It is no secret: The way people watch TV has been rapidly changing in recent years. Traditional television may still have the lion’s share of viewers but the space is getting more fragmented. It takes a multitude of tactics to reach target audiences whenever and wherever they are watching video content. Why the increase? 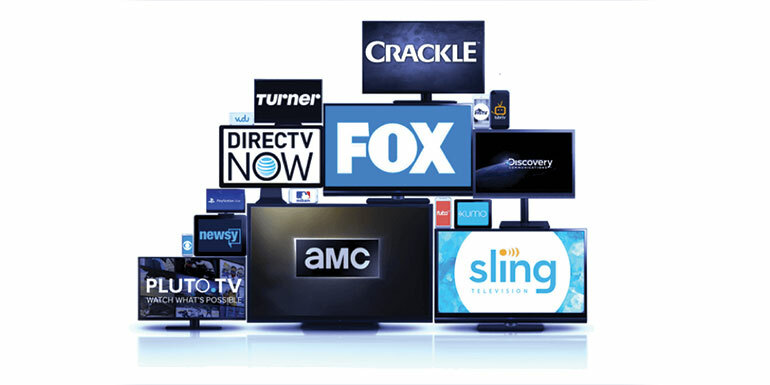 Streaming devices like Roku, Amazon Fire, AppleTV, Playstation, Chromecast and Smart TVs connect to the internet and have various aggregator and network apps that enable viewers to subscribe to, and stream content. While the vast majority of households still have cable as well as OTT access, there’s a whole new group of viewers who are “cord-cutters” and rely on OTT alone. Then there are the younger “cord-nevers” who have never subscribed to cable—a prime audience for colleges who are challenged to grab the attention of their media-habit-changing student targets. OTT now offers marketers more ways to reach all three audience groups. Hulu was the only ad-supported platform in this category for a while, with Roku and Amazon Prime also having a large subscriber base (but no paid advertising). Now, marketers and advertisers can get excited with new OTT providers following the Hulu model of paid advertising. Aggregators including Crackle, Sling, and Pluto have joined the mix along with networks that have their own OTT channels such as ESPN. Media publishers and sellers are getting their hands on this opportunity to increase sales. There are vendors that are specifically selling OTT, and offering the relationships, transparency and targeting that is crucial to strategic media placements. Placement opportunities in over 100 OTT networks. Non-skippable commercials allow for high video completion rates. Specific audience targeted by demo, geography (down to the zip code) and interests/behaviors. This means colleges will be able to narrow in on “education intenders;” banks and credit unions can reach “financial intenders” and healthcare providers can drill down even deeper with various healthcare targeting parameters. Streaming on television, mobile, and tablets. Detailed reporting on top content providers view through rates and impressions. With OTT ad spend projected to hit $40 billion by 2020—nearly half of the $85 billion in forecasted total TV ad revenue—the discussion then becomes: do we need to be spending ad dollars on traditional TV buys anymore? Can we reach enough of the target through OTT alone? The answer is not yet. While tempting given the shift in habits of viewers, lower CPM and targeting capabilities the scale is not quite there where OTT can replace our cable buys. The ideal campaign would have both platforms as an overall video messaging campaign. This would provide the highest reach and frequency. OTT, for now, is an incremental buy to complement television efforts. That is not to say there won’t be media plans in our near future where OTT alone will provide the video audience we are looking for—far more precisely and cost-efficiently.